"I fell in love with Point Park the moment I visited campus. 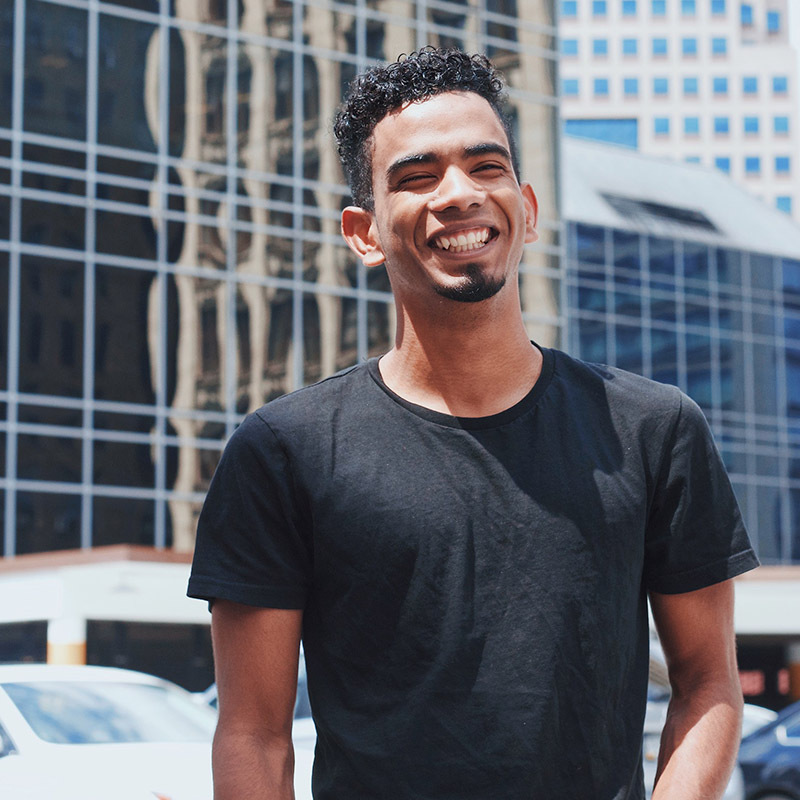 I loved the city and I knew coming to Pittsburgh and Point Park was going to offer me opportunities and connections that I wouldn’t find anywhere else." I fell in love with Point Park the moment I visited campus. I loved the city and I knew coming to Pittsburgh and Point Park was going to offer me opportunities and connections that I wouldn’t find anywhere else. Something unique about me is that I’m originally from the Dominican Republic. I came to the United States when I was 12 years old. Coming to the United States was challenging at first because I didn’t speak the language, which made it hard for me to communicate with students and teachers. Also, the culture was very different than what I was used to. I was blessed to have wonderful teachers and staff throughout middle and high school who wanted me to succeed and helped me overcome those challenges. Being a student-athlete can be challenging and overwhelming at times. Learning to manage my time wisely has allowed me to get involved in school, work, have a social life and also be an athlete all at the same time. I am a Pioneer Ambassador for Point Park, which has been an amazing experience. This position helps to put in perspective what Point Park is really about, and it gives us the opportunity to be a role model for incoming students. In addition, I served as the vice president of Phi Beta Lambda my freshman year, and last year I served as the membership coordinator for the club. I’m also part of the Black Student Union, and I will be joining the SAEM club this year. The SAEM department has provided me with incredible opportunities. Last semester was my first semester in the major, and since then, I’ve been able to shadow and work with the event manager of Heinz Field. I was also able to volunteer at a Pittsburgh Pirates partnership event with W.B. Mason. My advice to incoming freshman is to get involved! Getting involved and going to campus activities is a good way to meet new people and make new friends.